As best I can tell nobody except Rahm Emanuel thinks it would be a good idea to enact a citywide ban on Chick-fil-a outlets on the grounds that the owner of the company has said distasteful things about marriage equality. And good for them! But I hope that friends of free speech will note that while the Constitution would almost certainly prevent Chicago from de jure banning Chick-fil-a on these grounds, it’s almost trivially easy for jurisdictions to abuse the extremely wide discretion they’re granted to de facto do the same thing. 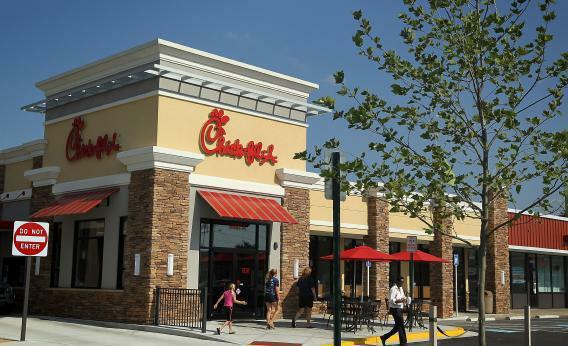 For example, there are 1,641 Chick-fil-a outlets in the United States and Chick-fil-a, as part of its owners’ socially conservative approach, doesn’t open on Sunday. So all a city needs to do is say that if a quick service restaurant with more than 1,500 branches wants to open, it must be open seven days a week. I’m fairly certain that wouldn’t restrict any businesses other than Chick-fil-a, and the reason to do it would be the owners’ outspoken right-wing politics, but the rule would be “content neutral” so you’re OK.